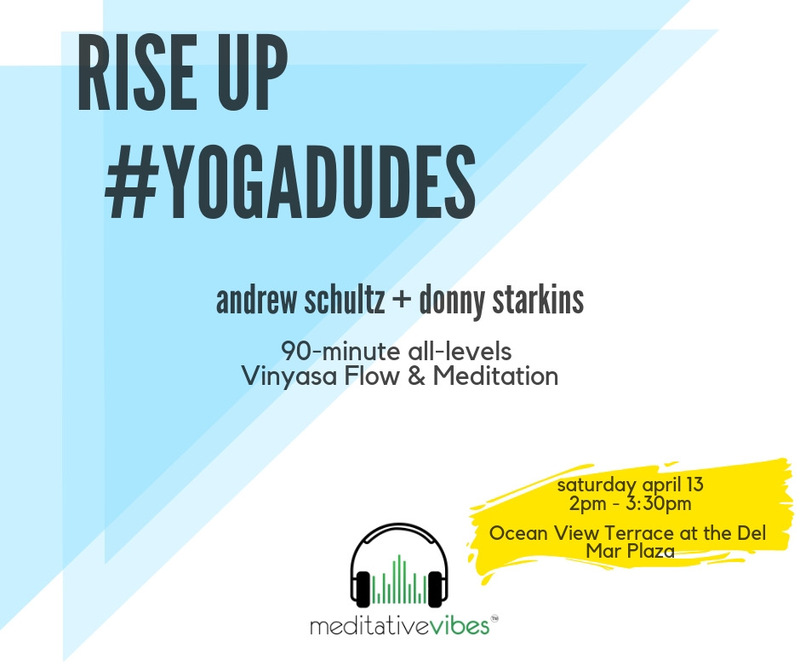 Join two of the most dynamic male yoga instructors, Andrew Schultz & Donny Starkins, as they join forces, with Meditative Vibes, for a 90-minute all-levels Vinyasa Flow & Meditation. 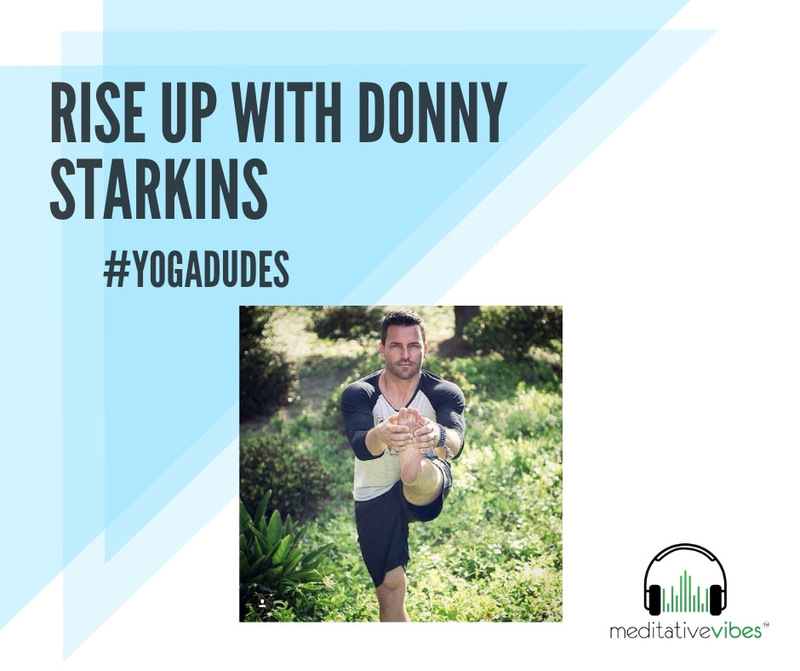 We will turn up the music and be anchored right in the middle of a moving meditation fueled by an inspirational message of “Rising Up.” Prepare to move through a juicy, yet mindful, flow of standing & balancing postures, twists, hip openers & heart opener. Expect to be inspired, let loose, connect deep, and gain clarity on what it will take for you to step up, rise up, and live a life of purpose! Join us from 2-3:30PM on the deck at Del Mar Plaza overlooking the beautiful Pacific Ocean. 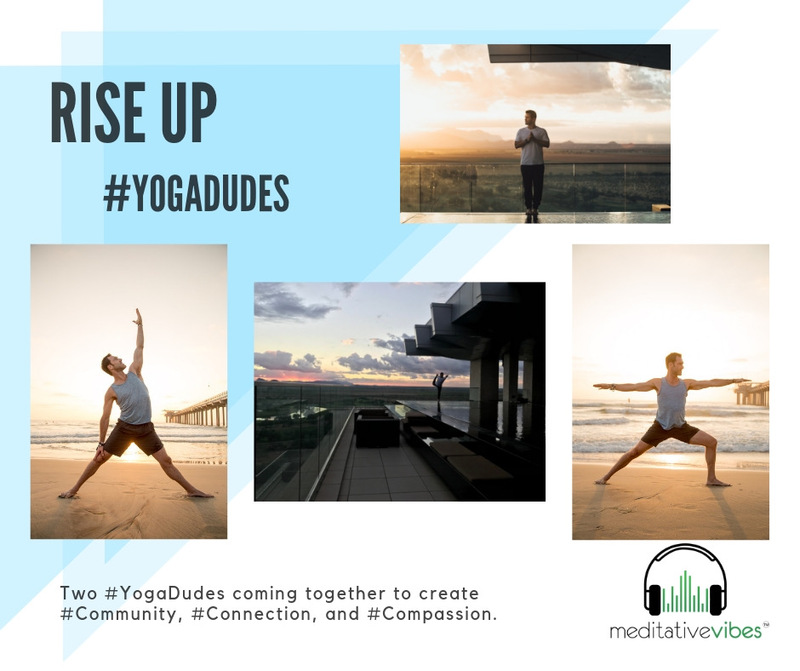 Two #YogaDudes coming together to create #Community, #Connection, and #Compassion. An outdoor community class bringing people together from all walks of life. Wireless headphones, yoga, meditation, and mindfulness. 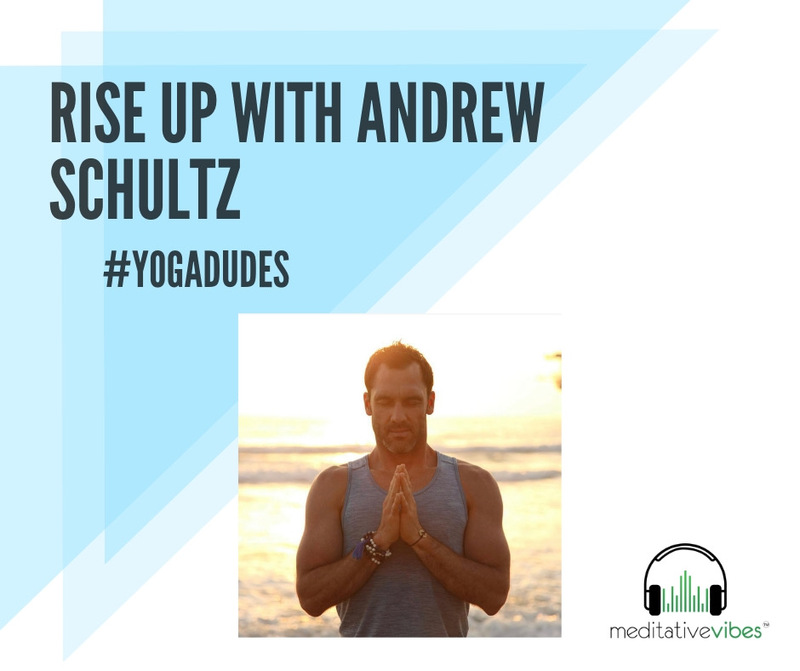 This event is guaranteed to leave you inspired with Andrew & Donny showing that vulnerability = strength, while creating space for others to be vulnerable and be the best version of themselves.